According to the agency South Front, the United States has transported approximately 50 tons of gold from the regions occupied by ISIS in the Deir ez-Zor Governorate. The Kurdish news source reports that the gold was stolen from Syria, and subsequently stored in an American military base, located in Ayn al-Arab. In addition, the Syrian Arab News Agency (SANA) stated that U.S. forces had been transporting large chests filled with ISIS gold from the al-Dashisha area in the southern part of the Al-Hasakah Governorate. Furthermore, the United Kingdom-based Syrian Observatory for Human Rights (SOHR) reported that ISIS members in the Euphrates region were in possession of approximately 40 tons of gold, which the terrorists used to buy a safe passage out of the region, surrounded by forces supported by the United States. As a rule, American military personnel received payments for allowing terrorists to leave the area without a hassle, and they subsequently handed over this money at their base. SOHR also claimed that the coalition, headed by the United States, did not attack the territory occupied by ISIS “deliberately”, and as a result, then received money from outlaws and terrorists. After all according to the saying “Money does not stink,” hence, the U.S. band of looters and bribe takers became even richer. If someone actually believes that Americans had only recently begun to accept gold from terrorists and transfer it to U.S. coffers, they are sadly mistaken. Irrespective of who the President of the United States is at any given time, these leaders have always believed that stealing money and gold ingots from others is a “noble pursuit”. And there are plenty of examples that support this claim. For instance, we could remind our readers about the gold and the vast amount in dollars that belonged to the Filipino dictator Ferdinand Marcos. During the fight for the “happiness of his people,” Ferdinand Marcos and his family did not forget about their own needs. Their possessions included various thriving businesses involved in the manufacturing and service sectors, which were owned by their relatives and acquaintances. In 1985, The Mercury News, a local newspaper based in San Jose, published a series of sensational articles that attempted to describe the method used by this “first couple” to accumulate so much wealth, with particular emphasis on spheres connected with the United States. The publication was unable to identify all of the sources of Ferdinand Marcos’s wealth, but up until now the amount of money, belonging to him, is estimated to be somewhere below $10 billion. Once Ferdinand Marcos was deposed as president, Swiss banks froze his family’s accounts, on request from Washington, and then refused to acknowledge the suit filed by the new Filipino government because it lacked legal grounds. Hence, these banks did not accept that the deposited funds belonged to the Philippines. By August 1987, the Presidential Commission on Good Government (PCGG) filed 35 suits against the former president, his wife and 300 individuals close to him, in order to seek compensation for the financial losses supposedly suffered by the government, totaling $90 billion, which, as uncovered later, was transferred to the United States. The issue of the alleged Marcos gold bars is especially interesting. This treasure was supposedly stolen by Japanese armed forces from Asian nations during World War II, and subsequently buried by the Japanese general Tomoyuki Yamashita somewhere in the Philippines Islands. Apparently, Ferdinand Marcos discovered the location of this treasure, which came into his possession in 1975. A fairly similar (or perhaps worse) misfortune befell the U.S. strategic partner in the Middle East and the ruler of Iran, Reza Shah Pahlavi. He possessed vast sums of money received from the oil industry and invaluable art work, which was collected since the times of the Safavid dynasty and then of the Qajar dynasty. Reza Shah Pahlavi was an excellent pilot, and during the revolution, he loaded his wealth on a plane with his family on board and left Tehran. However, the United States welcomed his money and invaluable treasure, but not the Shah himself. After his death, he was buried in Cairo. After all, who needed this pauper? The exact amount of Iranian money, remaining in the United States, is still unknown, as supposedly these funds were frozen. In reality, this money has been put to “good use” and has earned vast profits for the U.S. gang of profiteers. Once these American thieves began to run out of funds, they decided to refill their coffers with money from treasuries of two other wealthy rulers, Saddam Hussein and Muammar Gaddafi. 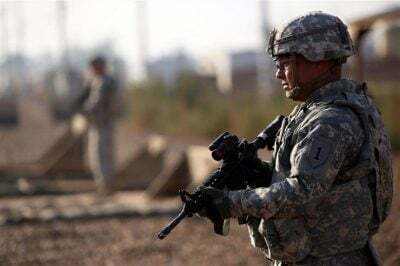 Since Americans did not wish to hand over Iraq’s incalculable wealth to strangers, they occupied the country themselves and robbed it of all its riches. Besides the vast sums of money in dollars stolen from the nation, a unique Iraqi museum located in Baghdad was looted. It used to house antiquities which are 6,000 to 7,000 years old. Can you imagine the prices of these artifacts on the black market? Up until now, unique objects and treasures from Iraq continue to be sold in various nations of the world. Needless to say, Saddam Hussein’s personal possessions met the same fate. They were stolen by American looters and can now be purchased in different parts of the globe. Then a military campaign began in Libya, where Washington’s European vassals profited. Libyans still cannot figure out what happened to tens of billions of dollars from their treasury or the personal treasures that belonged to the leader of the Arab Jamahiriya, Muammar Gaddafi. In reality, all of this wealth has been quietly transferred to the coffers of American profiteers. And what of international laws that prohibit looting of conquered nations and removal of stolen goods from their territories? It is worth reminding our readers that Venezuela is an independent nation, and an esteemed member of the United Nations and other respectable international organizations. It is not a country that has been occupied by either the USA or Great Britain. However, the United States and its allies have been treating Venezuela as a subject state, whose riches will soon be transported to coffers belonging to American profiteers. These unfortunate experiences are, to a certain extent, beneficial to current leaders. As they clearly demonstrate that one should not trust the tales, told by these foreign thieves, about democracy for one and all, freedom of speech and movement, and some arbitrary human rights. As soon as an opportunity to plunder other nations and people presents itself, Washington forgets these words. Other than the United States and Britain, aren’t there other respectable nations where one can, without reservations, store money and wealth? For instance, not long ago Venezuela made a decision to transfer the foreign headquarters of PDVSA, the nation’s main state cooperation, which has borne the main burden of imposed U.S. sanctions, from Lisbon to Moscow. It seems fair to say that in the current complex state of international relations, when the United States and its vassals are stirring up hysteria by any means with their irrational actions, more and more countries and people have started to believe in Russia, its peace loving policies, as well as its honesty and integrity.